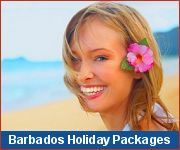 Barbados is an island of great natural beauty and offers great eco-adventure vacation packages to the Caribbean - from the white sand beaches, to beautiful tropical blooms. You can enjoy this Caribbean beauty through a submarine ride, a scuba diving expedition, an island safari tour a trip to the local Wildlife Reserve, a swim with the turtles, or a trek through lovely gardens. Several local hotels are actively pursuing sound environmental policies, and this has been reflected in the Green Globe Certification that several have achieved. 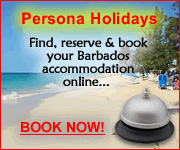 If you are a nature-lover looking for a Caribbean eco-adventure, then these are the ideal places to stay in Barbados. 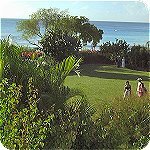 Located on the ruggedly beautiful east coast of Barbados, Santosha is the perfect escape from the crowds to experience the natural beauty and tranquility of Barbados. Coconut Court is unpretentious hotel, full of local character and charm. It has always been in leader in environmental awareness and responsibility on the island.